Sometimes, Draw Something is over. | Everything is cool. Sometimes, Draw Something is over. 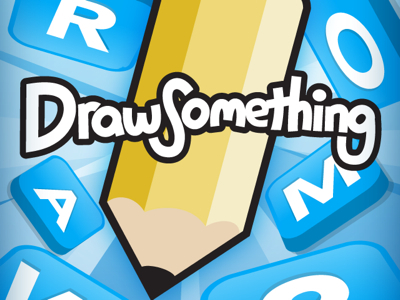 When I first downloaded Draw Something two months ago, I’d check my phone every ten minutes to see which of my regular opponents had sent something back. The thrill of the alert ‘X has sent you a new drawing’ was like nothing I’d ever experienced before. It was like Christmas morning, the first text from ‘him’, and ‘you got the job!’ all at once. Even better, was switching on after a hard day’s work to see that every single one of my opponents had taken their turn. All greens. No nudges necessary. That would put me out of action for at least fifteen minutes. All in the name of buying more colours. That’s all I wanted. A luxurious selection of pastels and blocks to colour my world. Me – I was consistent. Not the best artist in the world, but confident. When I had an idea I went with it and sometimes, I even got a little appreciation by way of a drawn message. Little notes like ‘that was good!’ or ‘joker!’. The drawings I most looked forward to belonged to those closest to me; from my brother I could expect a torrent of topographic maps detailing Korea, New York, Turkey, Russia and even New York’s Broadway. From my boyfriend, I received various sketches of me (a blob with blonde hair) or us (two blobs) in different, exciting scenarios. God, those were, the days. But now? Well… now Draw Something can absolutely eff RIGHT off. I have NO time to draw a silly object I’ve already drawn TWELVE times to the SAME person who guessed it right or in fact WRONG, every time. I’ve simply run out of words! And I can’t draw ‘koopa’ at the drop of a hat like I used to ‘garage’. It’s simply no fun having to google a picture of something I just don’t know how to draw! ‘KATNISS?’ I CAN’T DRAW IT!!! For god’s sake, what is the matter with these app people? Do they think it’s healthy for us all to continue drawing in this way? I’m miserable. I used to smile as I drew! Sing even! But now as I struggle to make a bunch of squiggles look like ‘sorry’, I’m close to tears. I don’t even care if I have colours anymore. Yep, that’s how much I don’t care. I’m a wreck. So, please, if you’re currently playing me at Draw Something, put us both out of our misery and terminate the game – because I’m done.